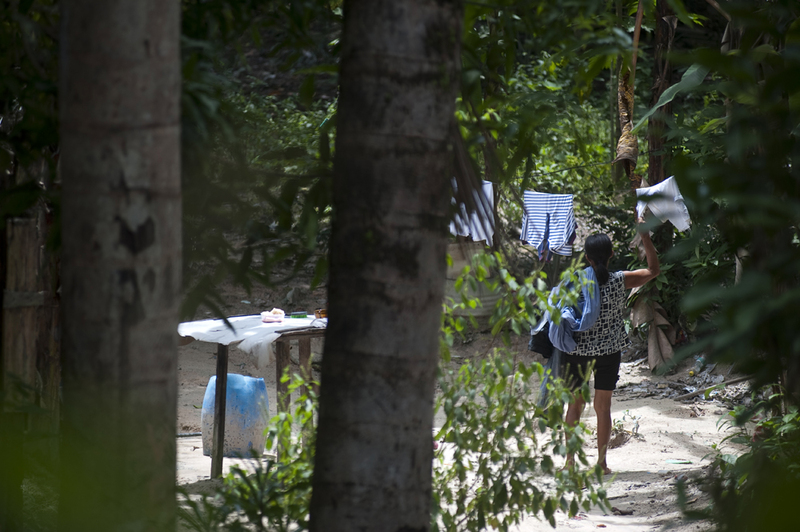 A woman collects her laundry outside an illegal dwelling in the forest in northern Manaus. As Manaus becomes increasingly more urban, people are illegally encroaching into the surrounding forest. People from small towns in the Amazon come to Manaus in search of work in its manufacturing sector. Photographed on Friday, March 16, 2012.